Ghostface Killah is one of the most recognisable names and voices in hip-hop. A prominent member of the Wu-Tang Clan, the American rapper born Dennis Coles has achieved as much solo success as he did around the release of seminal hip hop album 36 Chambers with his Wu-Tang band mates in 1993. His critically acclaimed solo albums include Supreme Clientele and FishScale and the man behind them is famed for his loud, quick delivery and smooth flow as well as his ability to tell colourful stories and unfold emotional stream-of-consciousness narratives containing cryptic slang and lovable non-sequiturs. 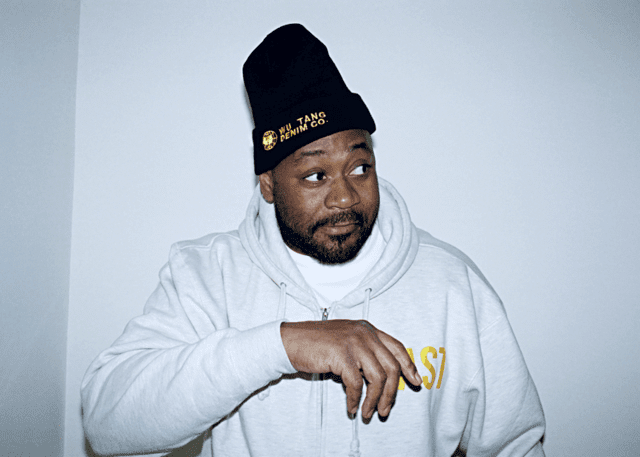 His music has always been well received by critics and fans alike and in 2006, MTV included Ghostface Killah on their ‘honorable mention list’ of The Greatest MCs of All Time, meanwhile About.com have previously placed him on their list of the Top 50 MCs of Our Time. Throughout his career Ghostface Killah has been synonymous with taste-making labels like Def Jam, Razor Sharp and Epic. He has been heralded as one of the finest MCs and story tellers of his generation and is known for what is called his ‘painterly fiction’. Most recently has released Twelve Reasons To Die to a great reception and has previously collaborated with other big name stars such as MF DOOM. Continually touring the globe and lighting up festivals everywhere with his unique delivery and tricky wordsmithery, Ghostface Killah is truly hip-hop royalty and always will be.